From the Belgian Congo to the Bronx Zoo On Sept. 8, 1906, the Bronx Zoo unveiled a new exhibit that would attract tens of thousands of visitors a day: Ota Benga, an African pygmy. From his life in the Belgian Congo to his death Lynchburg, Va., Ota Benga's story is as remarkable as it is tragic. In 1906, the Bronx Zoo put Ota Benga, a Congolese pygmy, on display in a cage in its Monkey House. Protests by a group of African-American ministers soon put an end to the exhibit. Ota Benga was among a group of pygmies brought to the United States to be displayed at the St. Louis World's Fair in 1904. On Sept. 8, a hundred years ago, the Bronx Zoo in New York unveiled a new exhibit that would attract legions of visitors -- and spark a furor. Inside a cage, in the zoo's Monkey House, was a man named Ota Benga. 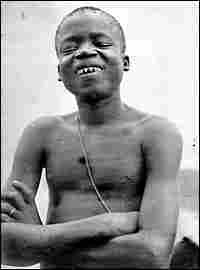 He was 22 years old, a member of the Batwa people, pygmies who lived in what was then the Belgian Congo. Ota Benga first came to the United States in 1904. The St. Louis World's Fair had hired Samuel Phillips Verner, an American explorer and missionary, to bring African pygmies to the exposition. After the World's Fair, Verner, as promised, took the Africans back to their country. 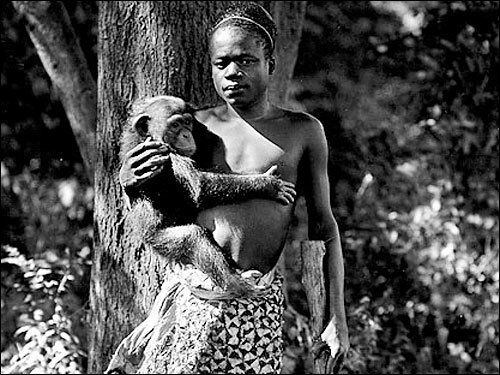 But Ota Benga found that he didn't fit in at "home" anymore -- all the members of his particular tribe had been annihilated during his time away -- and he asked Verner to take him back to the United States. 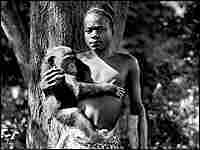 That's when Ota Benga ended up at the Bronx Zoo. It's estimated that 40,000 visitors a day came to see him. At the same time, a group of African-American ministers mounted a vigorous protest. "The person responsible for this exhibition degrades himself as much as he does the African," said Rev. Dr. R. MacArthur of Calvary Baptist Church. "Instead of making a beast of this little fellow, he should be put in school for the development of such powers as God gave to him. It is too bad that there is not some society like the Society for the Prevention of Cruelty to Children. We send our missionaries to Africa to Christianize the people, and then we bring one here to brutalize him." The Bronx Zoo soon ended the exhibit, and the ministers' group moved Ota Benga to the Howard Colored Orphan Asylum in Brooklyn. He stayed there for a short time before being relocated to Lynchburg, Va., where various families housed him and tried to help him live a normal life. Ota Benga lived in Lynchburg until March 1916, when he borrowed a gun from one of his host families, went to the woods on the edge of the town, and shot himself. Carrie Allen McCray, now 92, knew Ota Benga when she was a little girl in Lynchburg; for a time, he lived with her family. Phillips Verner Bradford is the grandson of the explorer who brought Ota Benga to America. They recount the story of the African pygmy's life -- and death -- in America. Joe Richman of Radio Diaries produced this story. The editors were Ben Shapiro and Deborah George.